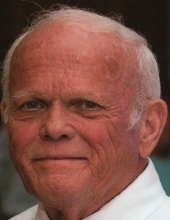 Johnny DeWayne “Wayne” Hightower, 73, of Moss Point, passed away at his residence after a short illness, on January 20, 2019. He was born on September 4, 1945 in Mobile, AL. A lifetime resident of the Mississippi Gulf Coast, Mr. Hightower was well known for his generous spirit and his fun, lighthearted outlook on everyday life. His humorous stories and mischievous pranks were a God-given gift to positively influence those who crossed his path. He is best known in the grocery store business as a highly successful manager. Mr. Wayne managed grocery stores for most of his adult life, retiring in late 2018 due to his declining health. He also owned and operated Wayne’s Shop Rite, a popular store and deli in the Pass Christian area, for several years. He faithfully attended Eastside Assembly of God in Moss Point. Wayne was preceded by his parents, Rev. Ruben T. Hightower and Mrs. Annie C. Hightower, and his infant sister, Faye Delores Hightower. He is survived by his two daughters, Lindsay Colette Glaeser (Wes) of George Town, Texas; Sarah Waynette Hightower of the Mississippi Gulf Coast, and two granddaughters, Parker and Ella Glaeser. He is also survived by three brothers, Thomas L. “Tommy” Hightower (Barbara), of Hurley, MS; Mackie Hightower (Jill), of Grand Bay, AL; Jim (Libby) Hightower of Lyons, GA; and one sister, Jackie Hightower Stiers (Tim), of Evans, GA, beloved family friend and care-giver, Darlene Hall Perryman of Mobile, AL, nieces, nephews, cousins, and a host of dear friends. The family will receive visitors at Heritage Funeral Home, 9721 Highway 63, Moss Point, MS on Tuesday, January 22, 2019 from 6:00 p.m. until 8:00 p.m.. The service for Mr. Hightower will be held Wednesday, January 23, 2019 at 11:00 am in the funeral home chapel with Rev. Wendell Stork and Rev. Donnie Havard officiating. In lieu of flowers, donations may be made to National Down Syndrome Society, https://www.ndss.org. Heritage Funeral Home, locally owned and operated in Moss Point/Escatawpa, MS, is in charge of arrangements. You may view and sign the online register book for Johnny Hightower at heritagefuneralhome.us. To send flowers or a remembrance gift to the family of Johnny "Wayne" Hightower, please visit our Tribute Store. "Email Address" would like to share the life celebration of Johnny "Wayne" Hightower. Click on the "link" to go to share a favorite memory or leave a condolence message for the family.